Last few months have been very intense with getting Transylvanian Knight finished, edited and organised for publishing. 9th November is the Launch Date at St Paul’s School, Bald Hills. Contact me for details on getting there or check out the Facebook Event. Speaking of St Paul’s, they were kind enough to invite me along to judge the Book Week Parade back in August. 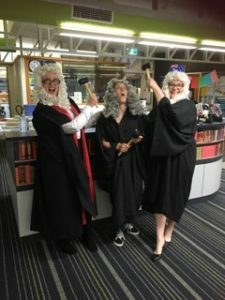 I dressed up as a judge and made pronouncements on costumes and characters – such an excellent variety and some very imaginative students. It was so much fun! 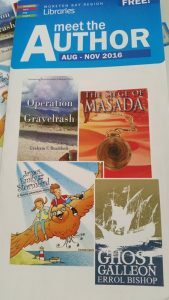 I also got to talk to their book club about Masada and met some of the readers and writers in the school. This month I’ll be doing Author Talks at Strathpine Library (Sat 22nd Oct) and Albany Creek Library (Sat 29th Oct).